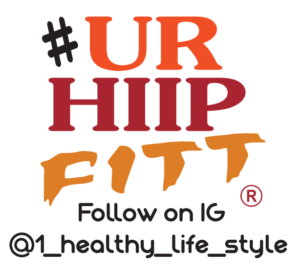 UR-HIIP FITT is designed for each participant to choose the weight, time and type of exercises. The exercises options include the following: Circuit Training: Targeting Upper Body, Cardio, Core and Lower Body. Interval Training: 20/40 (Beg), 30/30 (Int), 40/20 (Adv). Progressive Overload (Resistance Training): 5, 8, or 10 pounds. Mindful Breathing (Relaxation) and Mindful Stretching (Flexibility).